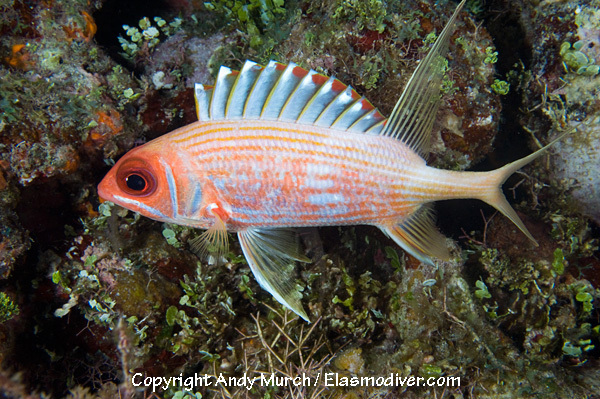 The Longspine Squirrelfish (Holocentrus rufus) is easily recognizable by the wide line running along each cheek. 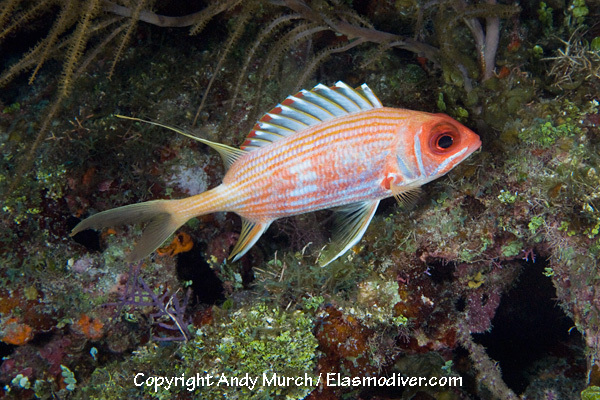 These Longspine Squirrelfish pictures are available for commercial licensing. For further information regarding usage please e-mail Elasmodiver. All of the images on elasmodiver.com are copyright protected. 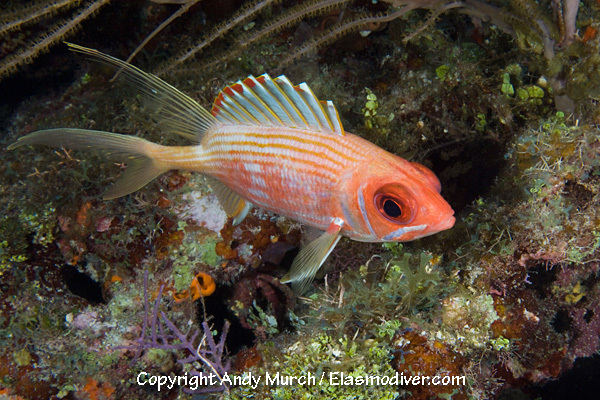 No unauthorized use of these Longspine Squirrelfish pictures is permitted. Please contact Elasmodiver for further information.